If you are travelling abroad for medical surgery an important detail to remember will be the requirement of visas. If you are travelling to any country from the UK you will always need a valid passport no matter where you are going but visa arrangements and requirements are a different matter. Depending on the country you are travelling to you may need to fill out a visa or obtain one before you leave the UK. If you are arranging your own medical package then the visa arrangements for your intended medical country will be your own responsibility. If you have employed the services of a medical provider then the provider should make all necessary visa arrangements on your behalf. If you are visiting a country in the European Union and hold a British passport then a visa should not be required for you to enter. There are a few countries where you will be required to have a valid visa before you can enter, and some countries have their own rules and regulations regarding medical tourism. The rapid growth in medical tourism has seen some countries bring out new rules and regulations that must be adhered to before you can enter the country. For example in the US you will need a visa to enter; this is usually granted with no problems if you are travelling to the country as a leisure visitor. But regulations in the US now exist that require the patient to hold an official statement from the medical institution or hospital informing of the acceptance of the patient for medical purposes. The statement should also detail the cost of the intended surgery and details of how the costs are going to be met. There may also be further requirements such as a statement from a US embassy panel physician giving reasons why these treatments must be undertaken in the US. You should check with the US Embassy or with your medical provider regarding the full conditions of a medical visa. The US has always been a very strict country when obtaining visas and if you are considering medical treatment in America you may be better bypassing the red tape yourself and letting a medical service provider handle the visa arrangements. India has recently laid down more stringent visa regulations where medical tourism is concerned. 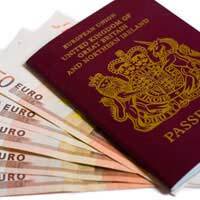 You will need a passport that is valid for at least six months, and a six months visa will cost £30. If you apply in person to the Indian Embassy or High Commission of India your visa should be granted on the same day, postal applications can take around two weeks. You will also need to make visa arrangements if you are travelling to China and Australia, and these visas can be arranged through the appropriate embassies or through your medical service provider. If you are travelling to South Africa for treatment then no visa will be required. When you are travelling abroad for medical treatment it is wise to make photocopies of both your passport and your visa documents in case they are either lost or stolen. If you are travelling abroad to any country that requires a visa always check with the country’s embassy or foreign office as to whether you need to receive the visa on arrival or whether it needs to be issued before you leave the UK.